While I was growing up the world was a bit different, all the Mom’s united in our neighborhood and supported each other freely. It wasn’t uncommon to be reprimanded by another mother or fed dinner just because. The old saying “It takes a village to raise a child” seemed to be in full effect. In the early days after my car accident I wasn’t able to care for our daughters easily and I was fortunate enough to have a friend who stepped in for me. My friend Krista who was in the later months of pregnancy brought her 3 year old son over every evening and helped me mother our two daughters. My friend became a Mom to our girls when I couldn’t. 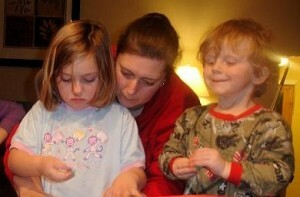 Krista jumped into the daily routine of our evenings, helping with homework, dinner preparation, bathing and loving my daughters when I couldn’t. Krista truly showed me her love for our family, she was working full-time as a teacher, had a husband and family of her own and for months she picked up my slack simply because she cares for us! This my friends is why I am nominating my friend Krista for Walmart’s Mom of the Year award! Being a Mom takes more than giving birth and Walmart is celebrating that by launching the Mom of the Year award. They want to honor everything a Mom does and shed light of the daily efforts Moms make as role models and members of the family and community. The Mom of the Year Award winner will receive $10,000 for themselves and $100,000 for the cause or charity of their choice. 7 other Moms who are chosen as finalists will receive $10,000 for themselves and $10,000 for their charity or cause of choice!!! Each of these 8 Moms will be treated to a celebration weekend in September, can you imagine the impact these prizes will make on people’s lives? By nominating my friend I’m acknowledging my thanks for all that she does for our family and hers. Do you have someone in your life you’d like to celebrate? Nominations will be accepted May 13 through July 8, 2012 and can be submitted through www.momoftheyear.ca. They can come from daughters, sons, family members, friends, colleagues or community members. Disclosure: I’m part of the Walmart program by Mom Central. I received compensation as a thank you for my participation.The opinions on this blog are my own. Mom of the Year Award: NO PURCHASE NECESSARY Internet access and valid email account required. Nominations open May 10, 2012 to July 8, 2012 for legal residents of Canada over the age of majority. Entrants cannot nominate themselves. One (1) grand prize available to be won consisting of$10,000 cash, a $100,000 donation by Wal-mart Canada Corp. to charity/cause and a trip to Toronto (ARV $22,000). Seven (7) runner-up prizes available to be won consisting of $10,000 cash, a $10,000 donation to charity/cause and a trip to Toronto (ARV $22,000). Charity/cause subject to verification and final approval by Wal-mart Canada Corp., at its sole discretion. Odds of winning depend on how the judging panel evaluates each entry according to the criteria. 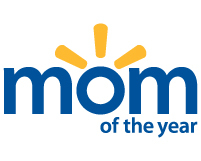 For Official Contest Rules and to nominate an entrant, visit www.momoftheyear.ca. What a great post, Julie. Krista is a remarkable woman! Wow this is so touching! I am so happy that you had (have) a friend like Krista in your life! I hope that she wins! It sounds like she sure deserves it! I’m so glad you have a friend who loves you and your children like that. Those are the people who define true friendship. Okay, this post totally made me CRY!!! How blessed you are to have such a wonderful friend. Definitely a worthy mom to nominate! Thanks for sharing! Excuse me while I look for my Kleenex box! :( Not kidding! What a wonderful friend to have in such a difficult time. Wow – she is a true friend! What a sweetheart. Great post! You are luck to have such a good friend and what a blessing it is for your kids as well! Very cool! What a sweet friend. I nominated a friend of mine too. I think you might recognize her name. I am so happy that people do this! Especially giving to charities of someone’s choice- that is a great gift! Your mom nominee sounds fantastic. Isn’t it great that you have such a wonderful friend? What an incredible story of a friend’s love Julie! Sounds like you’ve got a really great friend there. You are a very lucky woman! That is a truly heartfelt nomination. You are so luck to have such a great friend.